Getting beat on serves? 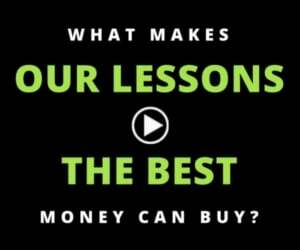 Today we show a couple of simple tricks to improve your return. This video is for players with a PlayYourCourt rating of 70 and below. – Hey, guys, Scott from playyourcourt.com, and today we’re gonna talk about two mistakes you might be making on your return of serve. Alright, guys, so today we’re talking about the ready position and a couple mistakes that us, as coaches, see players make that are really causing some problems. This video is for players of the PlayYourCourt rating of 70 and below. 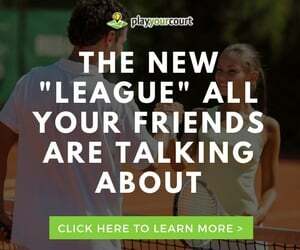 If you’re not in our community or familiar with our rating system, a PlayYourCourt 70 is the equivalent of a USTA 4.0. And we do see players above this skill level that will make this mistake so this video really could be applicable to just about anybody. When we talk about return of serve, the very first thing I want to address, because it’s the biggest mistake I see, is the grip in the ready position. 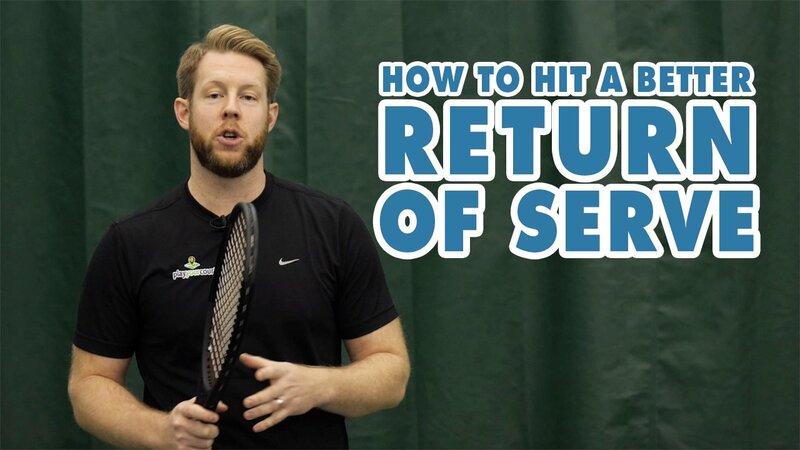 And we’ve actually put together a whole other video on the correct ready position and the correct grip we want you to have before every single ground stroke, but this content is even more important on the return of serve so I’m gonna quickly cover it now. And if you want more detail, definitely go check out our other video that will give you a little more information here. What you’re looking for when you return serve, the bottom hand of your grip should be whatever grip you use for your forehand ground stroke. I’m not gonna get into a debate about the correct grip is. For me, right now I’m showing a semi-western forehand grip. If I had a semi-western forehand, this is the grip I would be holding on bottom. On top, if I had a two-handed backhand or if I have a one-handed backhand, the concept here is pretty similar. If I’ve got a two-handed backhand, I’m gonna use the grip that I would use to hit my two-handed backhand, because as you know and have seen in other videos of ours, your top hand on your two-handed backhand should be doing all the work. If you’ve got a one-handed backhand, your top hand’s gonna be up here on the throat to allow you to guide that racquet back and make that grip change. So to summarize here, your ready position grip has gotta be something that quickly allows you to either let go and rip your forehand or has the top hand of your backhand on there so you can quickly turn and have that bottom hand shift into the correct position. If you’re not doing this, you’re going to be fumbling around for grips, you might find that you’re slicing a lot of backhand return, because you can’t quickly get to that two-handed top spin, or that one-handed top spin, ready position grip. So this is a huge piece in the mistake I see most players make. The second mistake that we see a ton of players make is what they’re actually doing with their feet and the timing of when they’re feet hit the ground based on when their opponent serves. So I wanna show you exactly what I’m talking about here. I, myself, like to start sort of in a one-foot forward, one-foot back ready position with my correct grip. And I’m gonna use this back foot to push into my split step. If that’s comfortable for you, then I recommend it. Plenty of players will start just in their split step position and split step foreword, but regardless of what you do here, what we want you thinking about is your feet need to hit the ground at the exact time your opponent makes contact with the ball and you need to be leaving quickly from the stance to go meet that return of serve. So if you’re doing this wrong or you’re doing this too early, what you’ll feel like is you land and then you’re waiting and then returning. Or if you do it too late, what you’ll feel like is you’re landing and the ball’s already gone past you. So we’re gonna demo this in a second and I’m gonna show you exactly what you’re looking for. When your opponent tosses that ball up, if you’re doing the one leg forward, one leg back stance, that’s a great time to start your push forward and then try to time the contact of their racquet with the ball and your feet hitting the ground, and you’re gonna quickly leave that position immediately, leave that position to go return serve. Let’s take a look at what some of these look like right now. So the first return of serve stance we’re gonna take a look at is one foot forward, one foot back. You’ll notice as Nate tosses that ball up, I move my weight forward to time the landing of both of my feet when he makes contact and then I’m gonna quickly adjust to react to the serve. Let’s take a look at that now. Ball goes up, I land at contact, quickly adjust, and rip the return. So now let’s take a look at the other return of serve position. And what you’ll notice is the only difference here is instead of having one foot forward and one foot back, they’re both together now in more of a traditional split step stance. So the only difference you’re gonna see is my starting position. I’m still gonna push my weight forward and land as Nate makes contact with his serve. Let’s take a look at that now. So I’m trying to time my feet hitting the ground as Nate makes contact, adjust to the ball, and make the return. So guys, I hope that helped. In summary here, the two big things I wanna see really correct in your game: make sure you’ve got the correct ready position grip so you can quickly react to that serve and you’re not fumbling for your grip, and make sure you’ve got a definitive routine, make sure you’ve decided exactly how you’re going to split step, whether you have one foot forward, one foot back, whether you have even feet, completely up to you. But make sure you’re doing the same thing every time and that your feet are hitting the ground as your opponent makes contact with the serve. If you do these two things, you’ll find that you have a much more successful and consistent return of serve. At PlayYourCourt we just want to see you improve your game, the only problem is the instruction varies for your specific skill level. We don’t know anything about you, so do us a favor, click the button or the link below, answer a couple questions for us so we can know exactly what skill level you’re playing. We’ll then send you some custom video coaching based on the things that you actually need to be working on. Just click the button or the link below and we’ll do the rest.